Captain Gary Stanyer was born and grew up in the African country of Zimbabwe. Always wanting to live by and work on the ocean, he moved to Key West in 1995. He purchased Dolphin Safari Charters in 2006, fulfilling his childhood dreams about a life on the sea. The adoring father of two kids with a great sense of fun, Captain Gary relates easily to both kids and adults, making him a delightful guide, teacher and captain. He has always had a great respect for dolphins in the wild, and wants to help preserve them in their natural habitat for the current generations and those to come to learn about and enjoy. 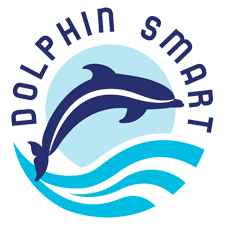 As part of his commitment to marine conservation and education, Captain Gary was the first dolphin boat captain in Key West to earn the DOLPHIN SMART designation from the Florida Keys National Marine Sanctuary..